My how time flies. A fluff piece I started back in sunnier times as a way to have a little fun with some two-week-old, hopped-up beers finally comes to roost in the dreary, wet weeks of fall. The dust’s been blow off, the final keyboard keys have been pecked, and this experiment in blind public opinion is done. So, just what will the general public think of some of Vermont’s finest when they don’t know they’re drinking it? Read on to find out. As we all know, Vermont is a series of mountain ranges, rivers, and fields all held together by maple syrup and its primary export is nothing, because locals first and locals only seems to be the name of their game. The same can be said for the beer. This means you’ll either need to smash its borders and steal it away like a wallet emptying thief ($75 a case!) or find a brave soul willing to ship it out, knowing they will be shunned from the community should their traitorous ways be discovered. While it might not be quite that Orwellian, there is a sense of local pride and farm-to-table that pervades their restaurants, breweries and primary past time, lawn maintenance. But when your state produces some of the most coveted (or overrated if you’re of that mindset) beers desired the world over, it’s a trip worth making. That’s why I decided to take the drive up from PA, stick around for 3 days, and taste/buy as much as my liver and bank account would allow. I’m no Vermont expert and 3 full days in Vermont isn’t anywhere near enough to really experience everything the maple drenched state has to offer, but I did get a good idea of how to pull off a pretty great beer run. For those that want the full breakdown of my three days in beer-adise, including the best beer route into/out of Vermont, where we stayed along with what to hit before and after your inevitable Hill Farmstead pilgrimage, and a plan of action for coming back with cases of Heady, Sip and Second Fiddle, click the links below. For those just looking for the highlights, read on. If you can get over the fact that the author cheekily uses a Heady Topper to demonstrate the technique, this is a good article on executing a righteous pour. 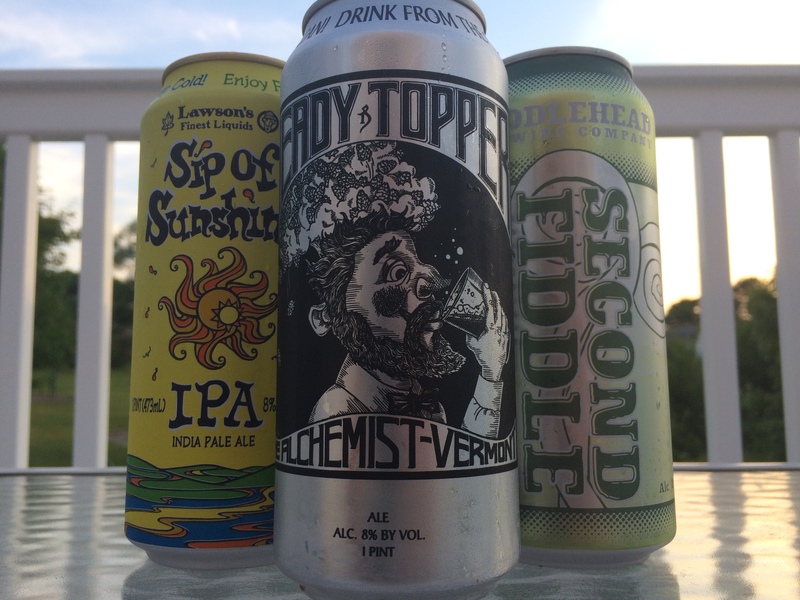 Getting a proper head on a beer can improve aromatics, so why not take a few minutes to read how a Certified Cicerone does it?